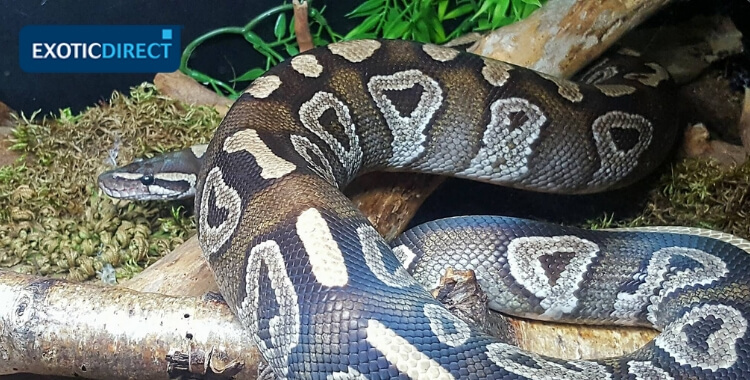 Royal (Ball) pythons can made great pets for beginners. But what setup do you need? This article is packed with advice from vivarium size, to heating, lighting, substrate and more. Is your Royal Python insured? Get a quote for £1,000 of vet fees, death and theft cover. Vet fee cover only also available | We've been insuring exotic pets since 1996 | Check out our customer reviews on Feefo. Pete Hawkins is the admin of the Snake Network Facebook group. He's also written several articles for ExoticDirect, and writes for Reptile Apartment and Practical Reptile Keeping. 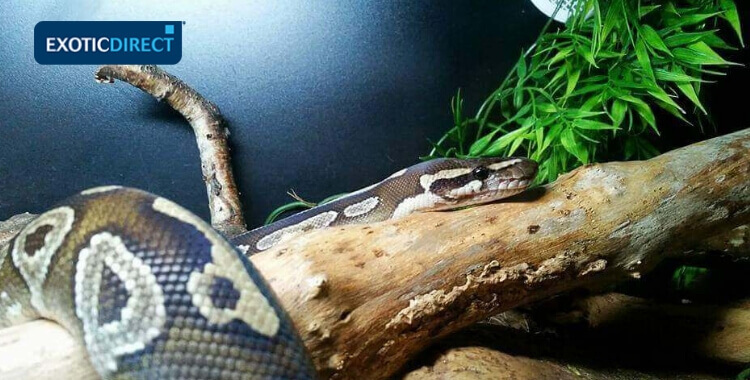 Is the Royal (Ball) python a good starter snake? The Royal (Ball) python (Python regius) has always been one of the few “go to” snakes for beginner keepers. And I would also recommend them for such. Royal pythons should certainly not to be considered a snake just for beginners, as all can enjoy this wonderful large bodied and stocky snake. Outside the EU, they are often referred to as Ball pythons. This is exactly the same snake, but just a different common name based on the snake’s tendency to curl up into a ball when in a shelter or burrow, or feeling threatened and stressed. One issue some keepers do get surprised with is the size a Royal will get - growing to an average size of around 5ft, with the females often being larger than the males. This is something many do not expect when they purchase a baby snake, with many thinking their snake will stay small at 2ft-3ft at the most. Whether it’s a lack of research, or incorrect advice given by shop employees, I can only speculate. But I absolutely feel this is something that potential keepers need to realise. 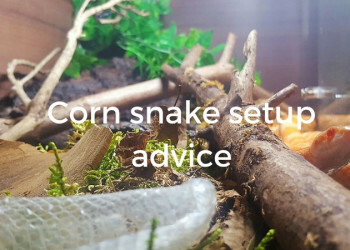 With a snake growing to around 5ft it in-turn requires a 4ft+ setup. Do Ball pythons need UVB? This snake species will often occupy the more arid savannahs, as well as other grasslands of Africa. But it can also be found in fields, woodlands and even more rural areas due to prolific rodent populations. They are known to occupy the burrows of other animals, termite mounds and even climb and occupy trees, despite the common misconception of the species not being climbers. They are found throughout the African continent and have a recorded population in pretty much all of its countries. From Sierra Leone, Togo and Ghana, to Cameroon, Nigeria and the Ivory Coast. These are a widespread species. Their natural food consists of small mammals like rats, mice, birds, lizards and even smaller snakes. Setup size will always be met with mixed reaction and often controversy, But for me it’s a simple conclusion. A snake that grows to around 4 or 5 ft in length should be able to have a good stretch out in its enclosure. I would recommend a vivarium measuring 4 ft x 2 ft x 2 ft. Personally, my Royal is kept in a wooden 5 ft x 2 ft x 2 ft. And although he doesn't use all that space every single day, he does indeed make use of it when needed. Stretching out to bask under the UVB for example (more on that later). I tend to keep my young hatchling snakes in breeder box's or Really Useful Boxes (RUBS) for the first seven to nine or so of their life. Either these or a faunarium. This is mainly to do to with them being so small and often more 'skittish'. The smaller tighter setup seems to calm them down much more. I will also use a heat-mat in such a small setup. It’s the only real option available for such. You should place the heat mat under the tub, RUB or faunarium as you want to avoid your snake having direct contact with the heat mat. Then at around seven to nine months old, feeding well, settled in and less skittish, into a vivarium they go. This will then be their forever home. What size Faunarium or RUB should I use for a young Royal Python? 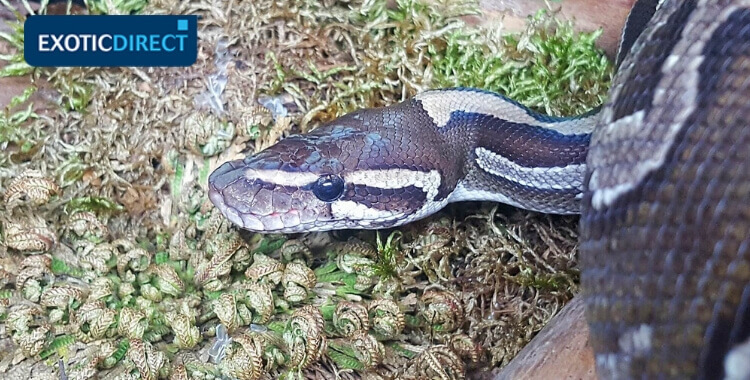 Faunarium’s are small in size around 42cm x 27cm x 15cm, and ideal due to the smaller size of the snake and security of the faunarium. You can buy faunariums from the Northampton Reptile Centre, although the dimensions may not be exact. A RUB or tub can also be around 42 cm x 27 cm x 15 cm, up to a couple of feet in size. I know keepers that use RUBS/tubs for their snakes without any issues at all. But personally speaking, I like to be able to see my setups, see what I have created inside, see my snake when its going about its business. So a glass fronted vivarium will always be my choice. Also the issue of heating a RUB/tub. These will require a heat-mat, which in itself does the job and works. 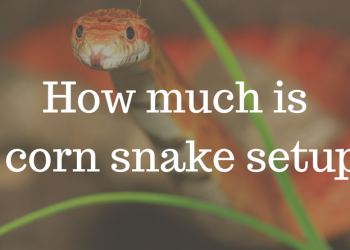 Millions of keepers use them on snakes, and most of those snakes are absolutely fine. But for me, the main heat should come from above as to replicate wild and natural conditions. So I use a the Arcadia Deep Heat Projector (DHP) or ceramic bulb as opposed to a heat mat. And only really with a vivarium do you have the needed height and space to use overhead heat. Also, the fact a tub opens from above. Many snakes, certainly when young, get a little jumpy about this due to them naturally and instinctively expecting many predators to come from above. Not only does this potentially stress out the snake, having adverse effects such as not eating. But increases the risk of that snake striking out at you (biting). Again, this is a subject not without its strong opinions and controversy. I keep my daytime basking spot temperature at around 32c (89.6f) with the cooler end being around 25c (77f). This provides a suitable temperature gradient. This temperature is taken via a probed thermometer, just outside the hide, near the basking spot. I do not use the highly inaccurate dial type thermometer. This seems to be a good range used by many keepers with 35c being the absolute highest used. But like with any temperature reading, the given reading will be affected by the heating method used, the position of the thermometer probe even the substrate used under the probe. It’s good to allow a slight drop in temperature overnight to around 25 C but no lower. This is something you can manage with the Microclimate Evo Thermostat, as it allows you to set several temperature ranges throughout the day if needs be. Obviously, if you use a light emitting bulb as a heat source, then you will want this turning off after 12 hours, in order to have that needed light/dark/day/night routine. So you can either turn to the use of a ceramic heat emitter (CHE) for the night period, or if your temperatures are no lower than 25 C overnight then you can turn off the heat until the morning. That being said, I know many keepers that choose to keep the same temperature 24/7 via a Ceramic (CHE), so that it's always on. But the day/night cycle is controlled via the UVB (more on this later). Again, with no adverse effects reported. Ball python heat lamp or mat? As already mentioned. I use the 'heat from above' option with my Royal in a vivarium (and my other snakes). 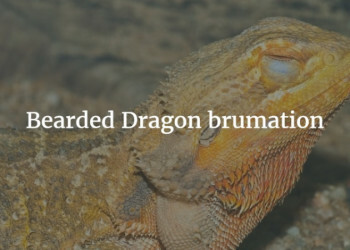 And it’s what I would suggest using in a vivarium. Deep Heat Projector: The Arcadia Deep Heat Projector (DHP) is my go to method here. This bulb gives out zero light yet emits infrared A and B which is highly beneficial due to its deep tissue penetration. Since swapping out my Ceramic bulbs for these a couple of years ago I've seen increased but more intense basking sessions as well as an increase of overall activity. For me, this is a good thing. I had zero issues with the use of a Ceramic Heat Emitter (CHE) either. The difference is purely observational. Incandescent basking bulb: Many will use a regular incandescent basking bulb (white light, not coloured). Again, this is a good method and will also add to the natural simulation of a day and night cycle. Please note, when it comes to the use of overhead heat, you will need a suitable guard for that CHE/Ceramic bulb/Deep Heat Projector. One with the holes small enough to not allow the snake to get through or caught up on it. Yet protecting the snake from the heat of the bulb being used. Heat mats: Some owners like to use heat mats. The issue I have with these in such setups is a heat mat directly on wood or plastic (if using a RUB/tub) is not ideal from a safety perspective. And often the heat mat will be buried under a lot of substrate, with no natural airflow around it, which isn’t ideal either. But also with Royals being a large bodied often stocky snake, that's a lot of direct heat on the sensitive underside of the reptile. And it has been known to cause quite severe burns. It is for these reasons that if using a heat mat, you should place it underneath the enclosure, with the enclosure slightly elevated. This is best from a safety perspective, for both the snake and your enclosure. The overhead heat method is what I will always suggest once that snake is in its larger vivarium. Finally, whatever heating method is used always use the appropriate Thermostat (more on this later). Whatever your chosen heating method, a thermostat is a necessity. The thermostat regulates the power to the heating method to maintain the temperature you have set on the device. You can buy thermostats from the Northampton Reptile Centre. The Pulse stat: This will pulse power to the heating method, thus keeping a more stable set temperature than the on/off stat. Dimming stat: In fact very similar to pulse, but the power is reduced (not switched off) once the set temp is reached. And then gradually increases in power when safe to maintain the desired set temperature. For the heat mat on that young snakes faunarium or RUB, a Pulse stat should be used. Mat-Stat: Finally, you can use an On/Off, or Mat-Stat which will remain on until the desired temperature is reached, when it will turn itself off again. However, I don’t use these, as I find them the most inaccurate of the three thermostat types. A light emitting source should always use a dimming thermostat. For the Arcadia Deep Heat Projector (DHP) I use a Microclimate Evo thermostat. This allows you to have all three of the above mentioned options available to you in one thermostat, making it the best thermostat on the market. I opt for the dimming method with the DHP. Slash the python soaking in his water bowl. When it comes to thermostat probe placement I find I have greater control by placing the probe on a side or back wall in the basking area. As opposed to directly on the basking spot. If the probe is placed on the basking spot not only can the snake lay all over it and give you false reading, thus potentially heating up the setup way too much, but the snake can also move it around too much. 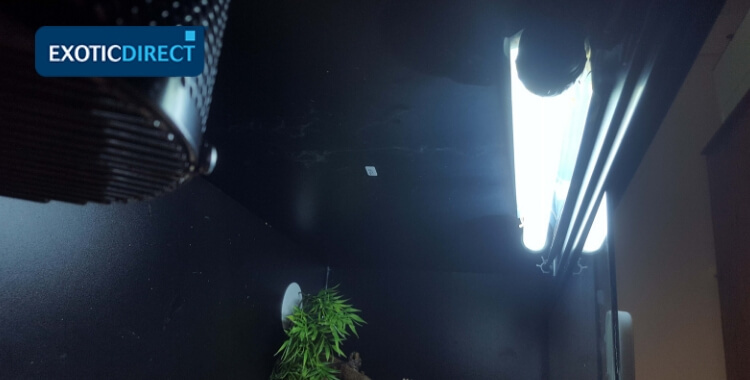 When placed on the wall, you will need to have the setup temperature set a little lower, due to it being further away from the direct heat of the basking spot. My thermostat is set around 28.5c. This gives me a 32c basking zone. But a little tinkering here may be needed in your own setup. But it’s all straight forward. Do Ball pythons need a day and night light cycle? As briefly mentioned above, I feel the day and night cycle should be replicated in a setup. We are essentially trying to mimic natural conditions as best as possible, and a few decades of captive breeding will not undo millions of years of these reptiles using and utilising such events. As mentioned already, I use the Arcadia Deep Heat Projector for the basking zone temps. This emits no light at all. So for this purpose I use a linear UVB tube on for 12 hours per day, and off for the remaining 12 hours. My choice here is an Arcadia 6% T5, with a reflector. This gives me a UV Index high level of around 1.5/2.0 in some areas of the setup, which is in range of the levels discovered and researched by Dr Gary Ferguson and his team in the now commonly known Ferguson zones. 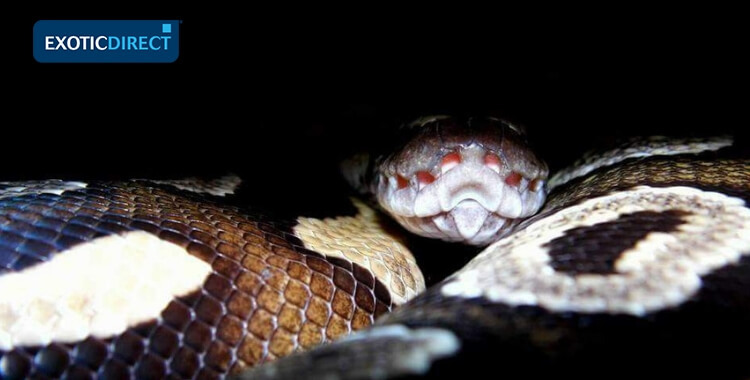 This is also hotly disputed topic: “Do snakes need UVB?”. For me the answer is simple. Absolutely. Would they have access to the UVB in wild conditions? Of course they would. So give them the option in their setup. 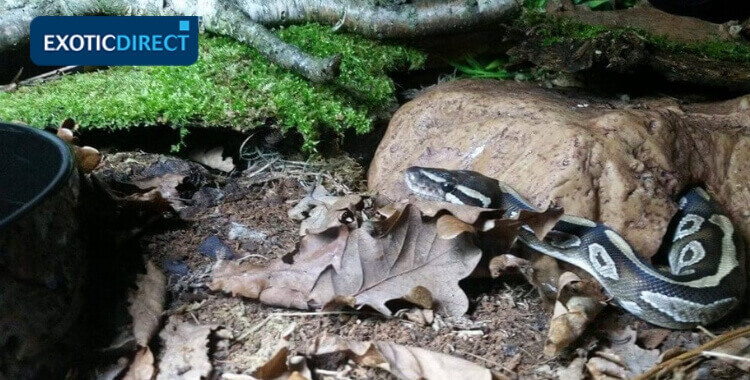 the use of hides and foliage/cover, let the snake chose its own exposure. I witness my Royal, and all my snake species in-fact basking and utilising the UVB in their setups. So it’s clear they will use it to benefit if and when needed. Not only to aid the conversion of D3 as we know UVB does, but to energise, for recovery, internal health (bloods etc) and external health. In fact the list goes on. You should be aiming for around 50% humidity, although this will dip up and down naturally during the day and night. Humidity will be directly affected by the substrate you use, as well as the size of the setup. And even your geographical location and homes own humidity. 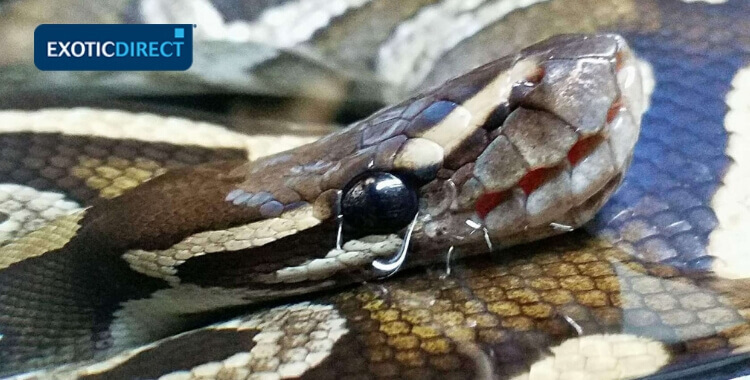 Using soil with Ball pythons: A soil based substrate mix will be beneficial in aiding humidity. I use a soil mix with a little play sand added (around 70/30 ratio). I would aim for a substrate depth of five inches. The soil depth allows the Royal to be able to burrow down a little, which they will do by turning around on the spot making a bowl like ditch. I also added some cypress mulch as well as the cool area having a large moss section. I find giving that giving the moss a light spray daily keeps the setup around 50% humidity,with it dipping down naturally between sprays. If your humidity is a little higher, try not to worry. High humidity is only really an issue if your air circulation in the setup is bad. This is where issues such as Respiratory Infections (RI’s) can happen. The benefits of the soil mix also allows you to go 'bioactive'. Royal Python bioactive: As mentioned in Corn Snake setup article for ExoticDirect. 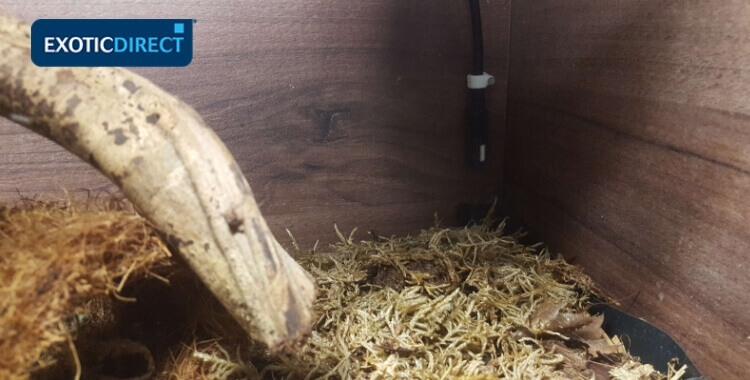 Bioactive is the use of the likes of woodlice, meal-worms, morios, springtails (often called CUC – Cleaner bugs/clean up crew) to maintain a living eco-system within the enclosure. They will aid the disposal of the snake’s waste by eating it. As well as keeping that substrate breathing and healthy which will also benefit any plants and moss within the setup. I do advise if you see any waste, then clean it up. Or leave just a little for your cleaner bugs to munch. You’ll often need to give the 'cleaner bugs' a hand as they are only small, and snake waste can be pretty large. Lignocel and aspen as substrate: Some snake keepers use Lignocel or aspen, however these are not the best choice to maintain a steady humidity gradient in the entire setup. If using Lignocel or aspen then you'll need to check daily for waste and clean it up as soon as possible. . Otherwise it can cause health problems. I also find many brands of aspen quite dusty. This has been known to cause issues regarding the snakes airways, although these issues are rare. Lignocel is the better of the two for me. And I will use this for the first seven to nine months while the Royal is in that smaller faunarium. Unfortunately Lignocel is not great at maintaining humidity level.However, if you provide humidity within moist hides containing moss, thatwould be fine. Lignocel however is very cheap, and you can create a deep substrate for your Royal to burrow down into. This offersa little mental and physical stimulation. Newspaper substrate: I absolutely would not use this as a substrate. It serves zero benefit to the snake. The only benefit is ease of cleaning, and that’s purely a keeper benefit. Same goes for bark/wood chip. Although I do not recommend using these at all. The risk of swallowing them can be pretty high. And they will struggle digesting it if accidental ingestion happens. You absolutely need to provide a water bowl, a couple of hides and branches for your Ball python. These are the basics in terms of décor. A water bowl for your Ball python to soak in A large ceramic dog bowl works great. They are heavy enough not to get tipped over and offer a great soak option. Royals will take a long soak from time to time. You'll find it a common occurrence in the warmer summer months, as well as an increased possibility when the Royal is due to shed. A good soak will aid their cooling, and ease shedding. Placing the bowl in the middle works best.This allows you to have a warm and cool hide at either end of the setup for that much needed privacy and sense of security within the setup. If the bowl is too close to the warm end you’ll find it raises humidity too much. Safe wood for Ball pythons: As far as logs, and branches go there are ample choices available online at Northampton Reptile Centre. But I find my own and tick to oak and birch mainly, but Willow is also fine. If you collect already fallen branches that are away from the pollutants of the roadside and from a safe pesticide free area, you should be fine. It’s always best to give your collected branches/wood a hose down under a hot shower for a few minutes, as well as a good spraying down with F10 veterinary grade disinfectant, and allow them to air dry. Then it’s a case of arranging within the setup to allow the snake to optimise its heat and UVB exposure, as well as the physical side of any enrichment it gives. With the plus of also providing more hiding options for what can be a fairly shy snake. Natural décor also gets used when the Royal is in shed. They rub themselves on the branches and logs as they would in the wild, making the whole process less troublesome and stressful for them. Pothos (devils ivy) and grasses such as Carex will also do well in such a setup. All these require is a quick spray down a couple of times a week at most. I tend to opt for smaller succulents or air-plants as well as grasses suited to the more arid setup environment. Again you can buy live plants from the Northampton reptile centre. Of course, with most live plants, they eventually die off. Some quicker than others due to how big the Royal is really. The larger and heavier the snake the more damage it can do crawling around over the plants. Artifical plants/grasses and vines for your vivarium You can opt for the artificial plants/grasses and vines and the choice here is plenty. I've honestly seen some beautiful artificial arrangements within a setup utilising space and enrichment options. Don’t get the cheap vines and fake plants seen in pound shops or eBay. Stick to the reptile branded type. The reason is simple. The branded ones have been tested to withstand all the various conditions of a setup. The dryness, heat, damp. everything. And tested for burns, mould, ease of sanitation etc. The cheap stuff is not tested for any of this, and often just made as cheap table décor for a wedding or similar. It’s just not worth risking a potential fire hazard or bacteria breading ground to save a few pounds. The snake’s health should always take priority when setting up anything in the setup. From the bulb and UVB used right down to the substrate and décor. Your substrate choice here will directly impact on the amount of cleaning and maintenance you are required to do. Daily checks for waste are required for all substrate choices, but the actions taken can differ between the use of a bioactive/naturalistic setup and the likes of aspen/lignocel. All waste will need to be removed in the latter of the above. But with a bio/natural setup, once the cleaner bugs have established themselves (generally after a couple of months) they will deal with 99% of any waste before you even see it. Of course, if you do see it, clean it up. But I guarantee it will be a rare occurrence. One other thing that comes with the benefit of a naturalistic/bio setup is there is no foul smell. A mixture of the cleaner bugs and the natural odour and gasses earth and plants produce seem to aid the masking of such smells. If you opt for the natural setup, have a good look around the setup once every couple of weeks at most and remove any left over fur deposits. These may be present if your snake has eaten a rodent, as it can’t digest the fur. And neither can the cleaner bugs. Bowl and hide cleaning is easy. Using F10SC veterinary grade disinfectant I spray, leave for a minute and rinse or wipe clean. These are all reptile safe. Get a quote to insure your python for £1,000 of vet fees, death and theft. Remember, this is a forever home for your Royal, so aim big (4ft+). It's absolute nonsense that they get scared in large enclosures and hide away all the time. These a shy snakes and hide away a fair amount anyway. But given the space and ample hides/coverage in the setup, they will absolutely use it. Same goes for the UVB. If you want to see your snake out during the day once it has settled into its new enclosure, UVB will aid this. Always think of the snakes needs, both for mental and physical enrichment. But also it’s natural evolutionary needs. It’s a setup for the Royal, not really for you. You look after that setup, the snake inside has every chance of thriving.